Dhira Ragasanmata. An adrenalin junkie who's still waiting for her turn to go bungee-jumping in Brazil. One of the things on her bucketlist is to get lost in the great country of gelato and pasta. A few years from now, you'll see her traveling the world carrying her trusty notebook in her backpack. May be an adventurous 18-year-old, but a true coward when it comes to horror movies and ghosts. Tend to overthink things and can be one of the most confusing person you will ever meet. Future entrepreneur, CEO of a multi-million dollar company, graphic designer, and philanthropist. #GIRLBOSS. Currently studying in Binus Northumbria School of Design, Binus International University, Jakarta, majoring in graphic design and new media. Follow her Twitter and Instagram. Nadira Indianti. Not much can describe her really. She's probably the girl you won't be staring in a room full of people. Slightly decent, pretty quite and all the things an Aries isn't though she's one. Likes traveling, and just love anything and everything simple. Quite easily tempted by good-looking foods. Not big on indie music. All the things in the world she could only want amazing people around her and let's not forget cute shoes. Most likely to be the one ended up blamed at because she is that bad at telling lies. Trista Anjani. A 17 years old who still find each day too short for all the thoughts she wants to think, all the countries she wants to travel, all the books she wants to read, all the friends she wants to see, and all the walks she wants to take. Will most likely laugh at anything no matter how unfunny the jokes are. And also a huge sucker for food, art, good music, and horror movies. Currently studying in Binus Norhtumbria School of Design, Binus International University, Jakarta, majoring in fashion management. 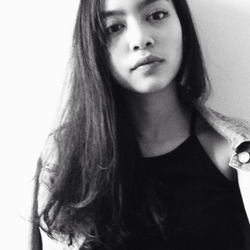 Nabilla Utami. She thinks she's funny when in reality it's the jokes about her that make other people laugh. But then again she always carries this huge amount of confidence wherever she sets foot. Well honestly, she stands in this thin line between being confident or just plain embarrassing. Nevertheless, she tries to have fun wherever she is. This self-proclaimed class clown has an alter ego who loves literature. She even decides her favorite songs from how vague and how deep the lyrics are. Currently studying in Asia Pacific University, Beppu, Japan, majoring in international management. 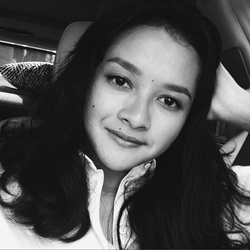 Anjani Larasati. 18, hard-headed and very eager in achieving what she wants. A future doctor & beauty entrepreneur who is very much in love with everything petite (Considers herself as one of the member of the petite-clan too). She dreams & aspires to be a free-spirited traveler though is currently finding so much trouble achieving that for she's a perfectionist at heart. Has a soft spot for simple gestures of kindness & affection. Currently studying in Universitas Indonesia, Depok, majoring in medical science, faculty of medicine. 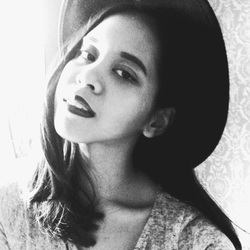 Nadine Khalissya. One soft-hearted person who speaks only what needs to be said but a chatterbox near certain people. A person with a calm thought that goes where the water flows presumably most Pisces. Does not get impressed easily and spends her day reading fantasy and mystery novels which is yet realistic at further points. 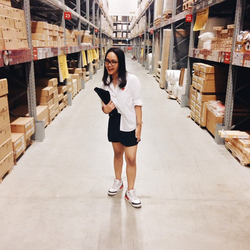 This 18-year-old loves vintage displays and action movies. Could not take her eyes and mind off possibly anything that caught her eye and mind. One who always wonder why feelings does not appear as we managed them. Currently studying in Universitas Indonesia, Depok, majoring in dentistry, faculty of dentistry. In July 14th 2013, we created Felice as an online magazine for, well- you guys. We will feature one issue per month, with its on special specific theme. We basically blog, write, and share everything that is going on right now mainly focused towards fashion, beauty, music, but there are tons of more stuff you can find besides that here on our website. Based in Jakarta, Indonesia, we are eager to introduce new stuffs that we think is great and basically just talk about everything to you guys. We post four times a week- starting on the first day of the month and so on.